Solar Thermal (also known as ST) uses the sun’s direct heat to absorb energy and transfer it to either a storage vessel, like a hot water cylinder, or put it straight into a required heat sink, such as a swimming pool. Solar Thermal is more efficient than Solar Photovoltaic panels (Solar PV) and therefore take up less roof space for the same amount of energy produced, but has the disadvantage of not being able to ‘export’ the heat off site if not require it. The designing of Solar Thermal systems is very important in the successful delivery of a system, as incorrect choice of parts can lead to large inefficiencies and long term issues. At Williams Renewables our design team has over 20 years experience of designing large scale Solar Thermal systems, so is fully aware of how this must be done. As part of the design process, we run computer simulations that uses 6 minute intervals of data to accurately predict output and therefore avoid overheating of the systems. Solar Thermal systems are especially suited to swimming pools with their very high demand for low temperature heat. During the summer months a Solar Thermal system can deliver at an efficiency of 90%, providing all the swimming pool heating requirements. The Renewable Heat Incentive (RHI) payment for Solar Thermal provides extremely good returns for swimming pools of up to 13%. 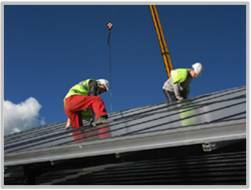 Other buildings suited for Solar Thermal are buildings with high hot water usage such as Care Homes, Hotels and Leisure Centres. Solar Thermal has different panel types, however the main types are flat plate, vacuum tube and unglazed. These are explained in more depth on the dedicated Solar Thermal Collector Types page.